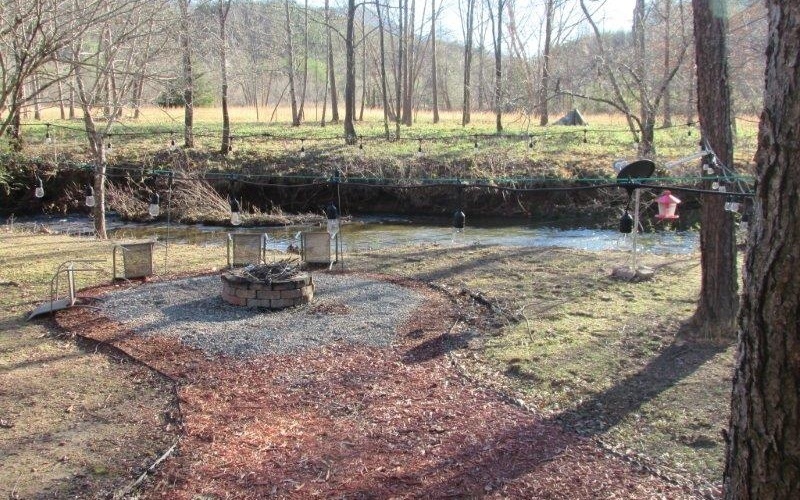 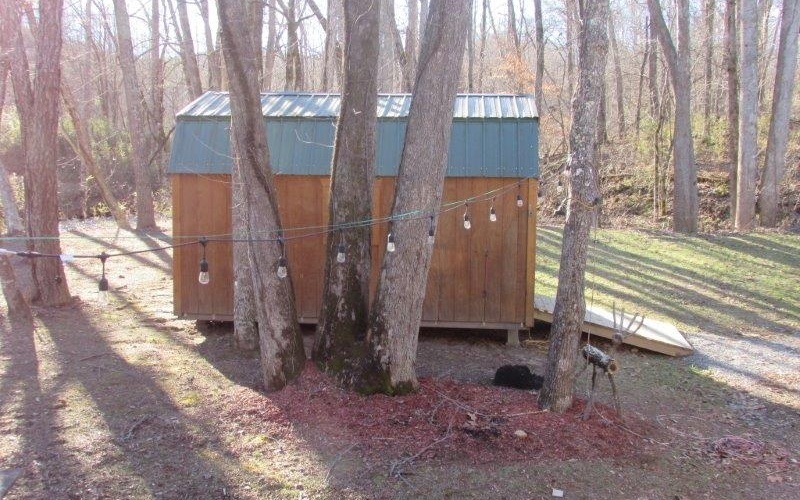 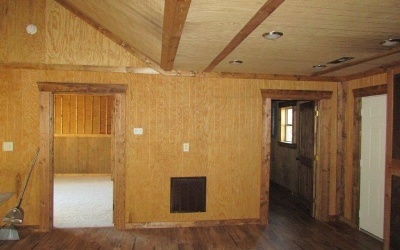 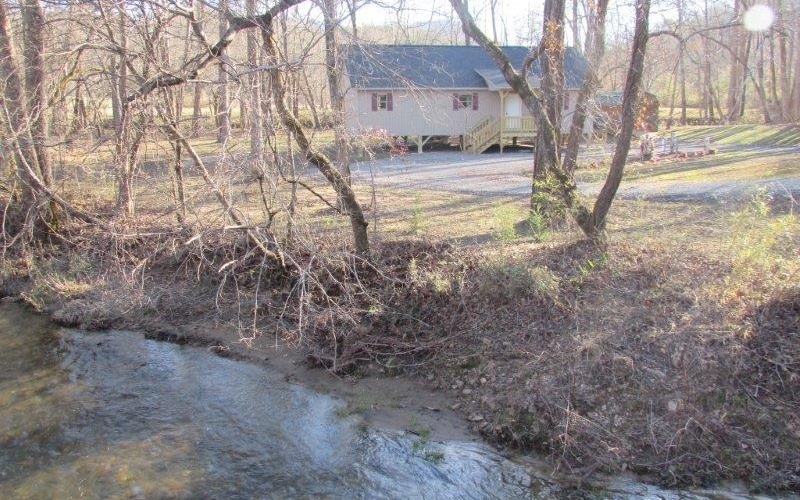 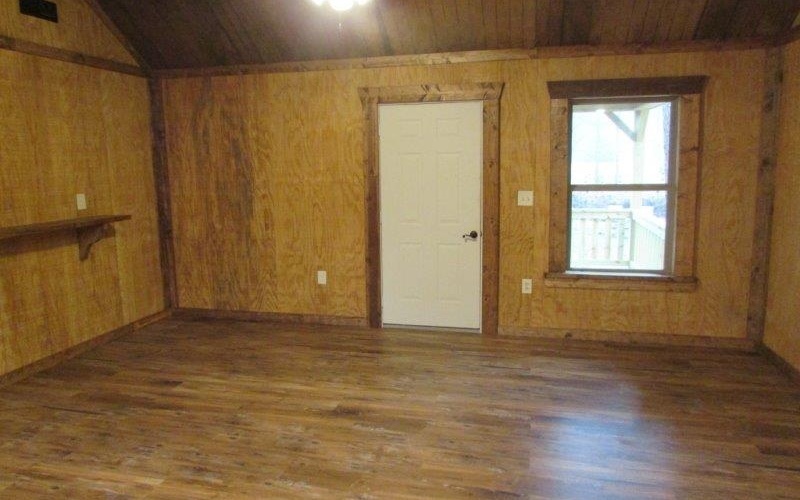 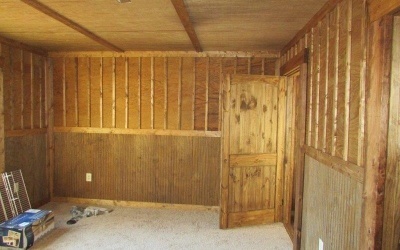 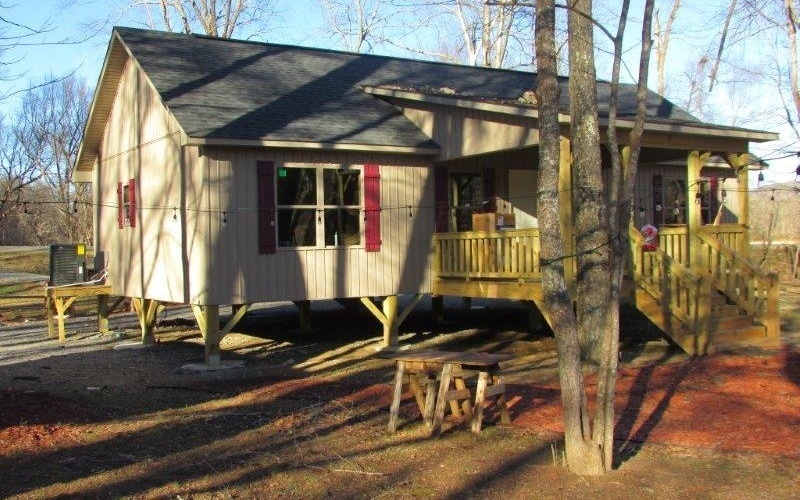 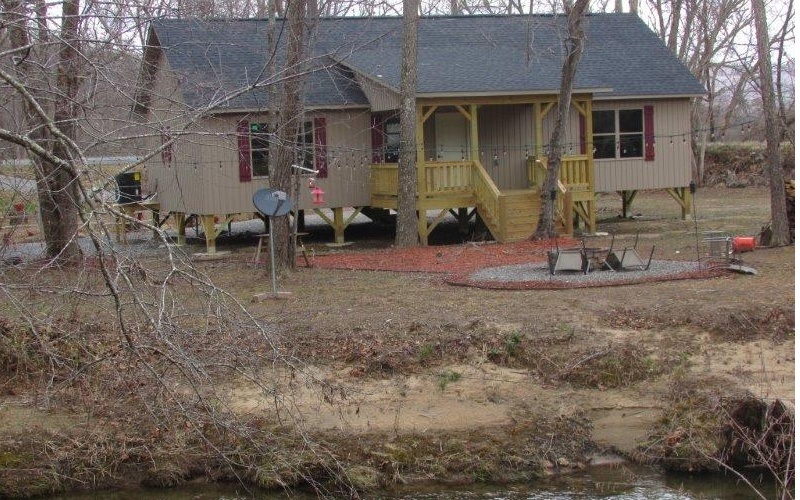 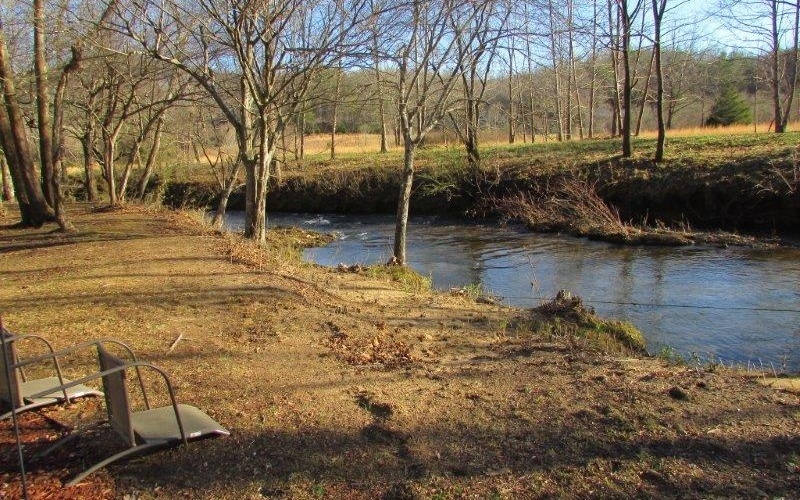 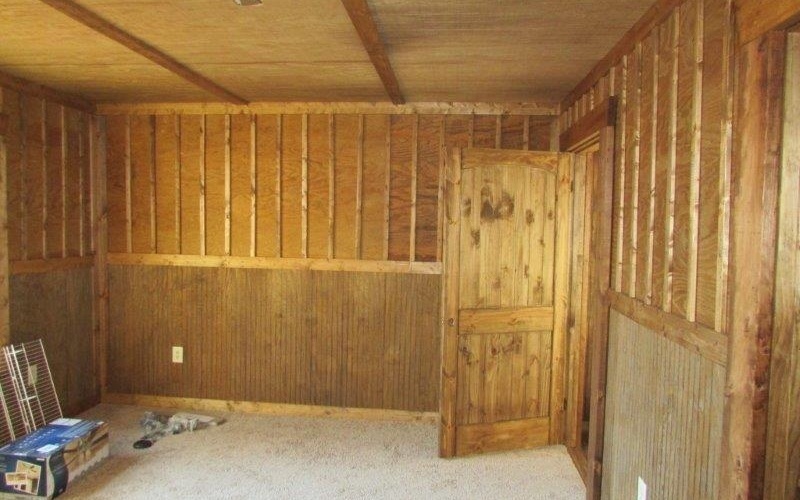 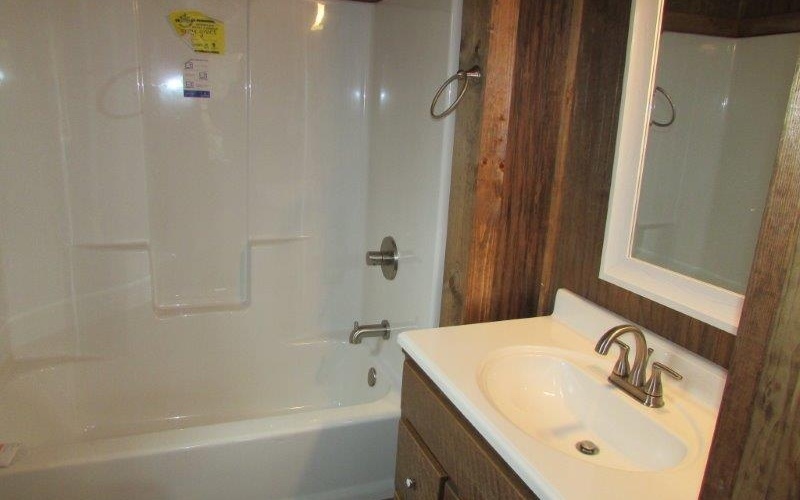 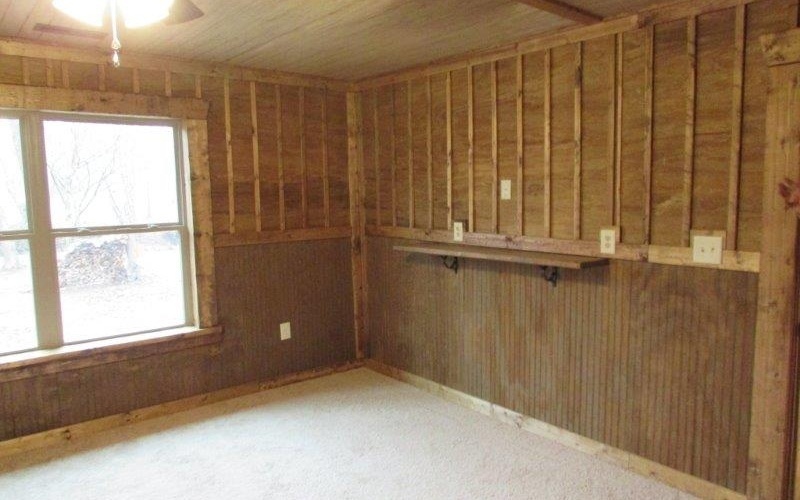 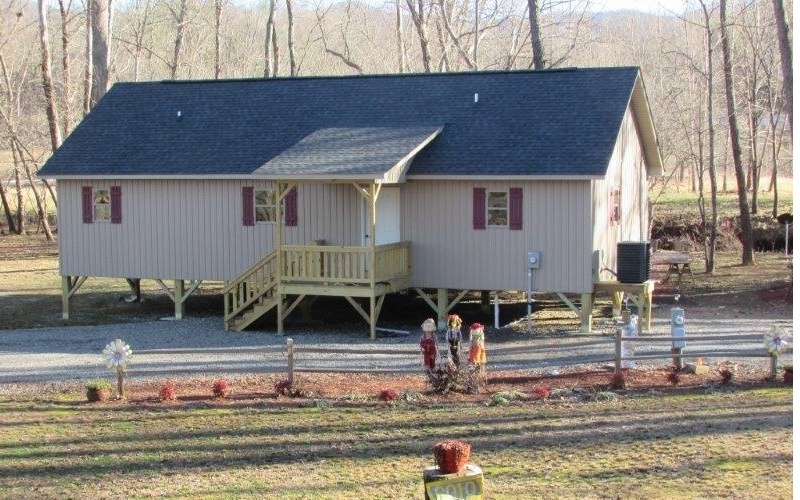 New construction of beautiful rustic cabin right on Brasstown Creek. 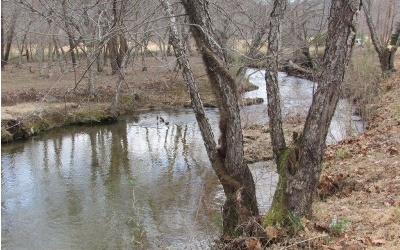 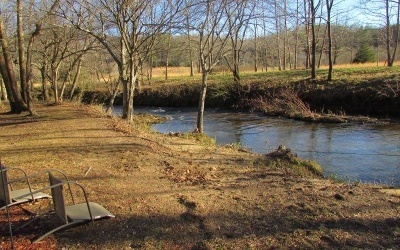 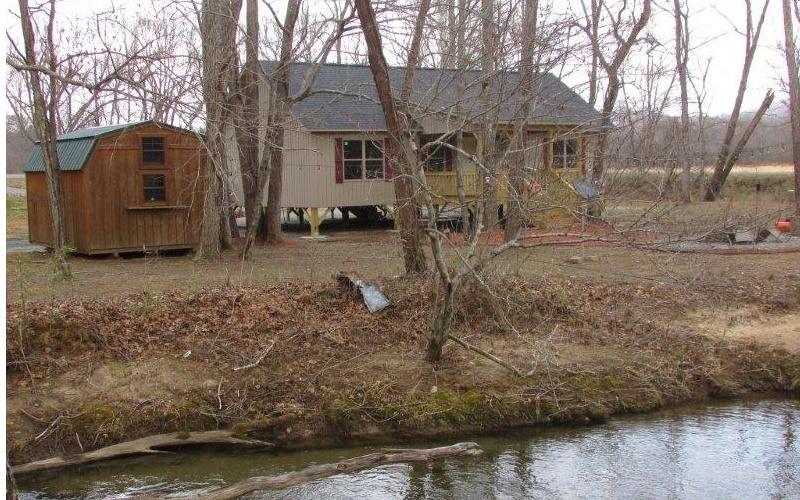 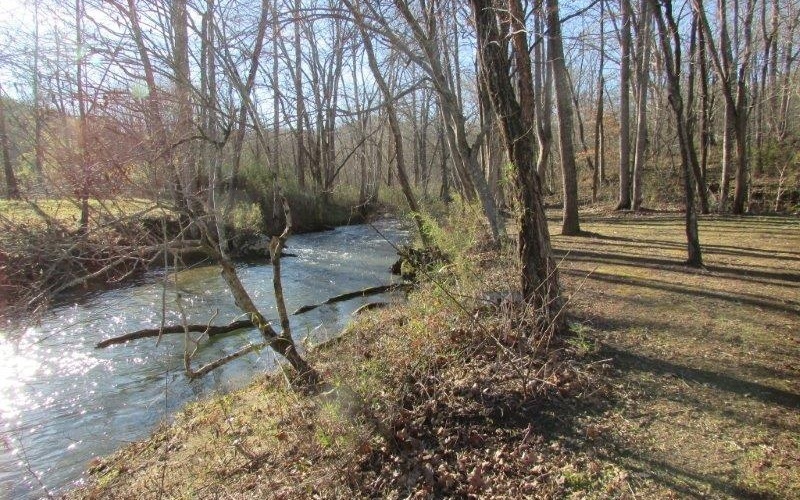 Over 500&apos; of rushing, trout-filled creek that borders home on almost 3 sides. 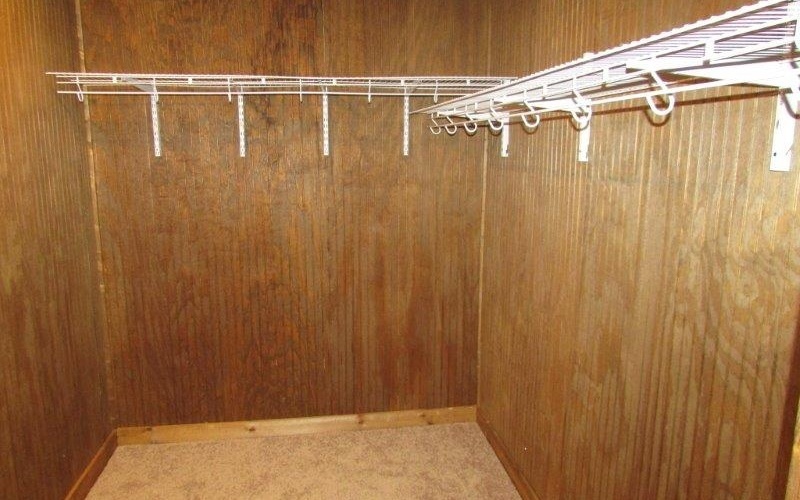 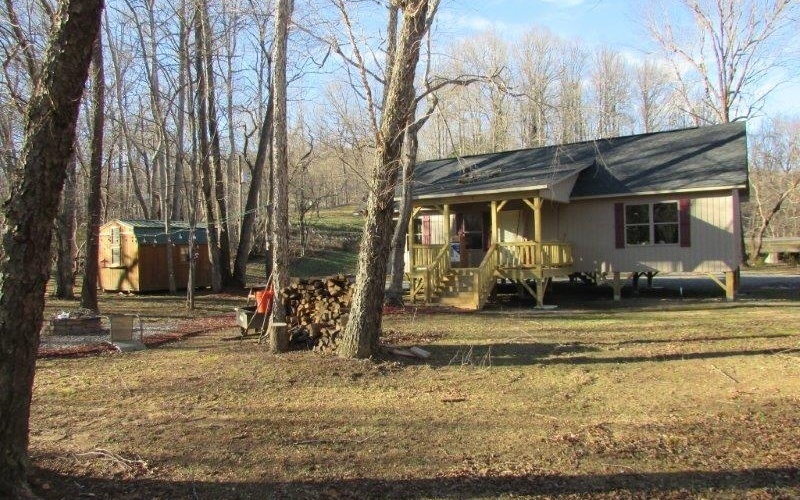 Wooded and flat with some gently sloped property. Big creekfront yard with fire pit and lots of places for swings and hammocks within sight and sound of the creek. Certificate of occupancy was issued on January 2. 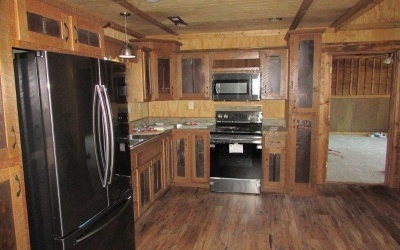 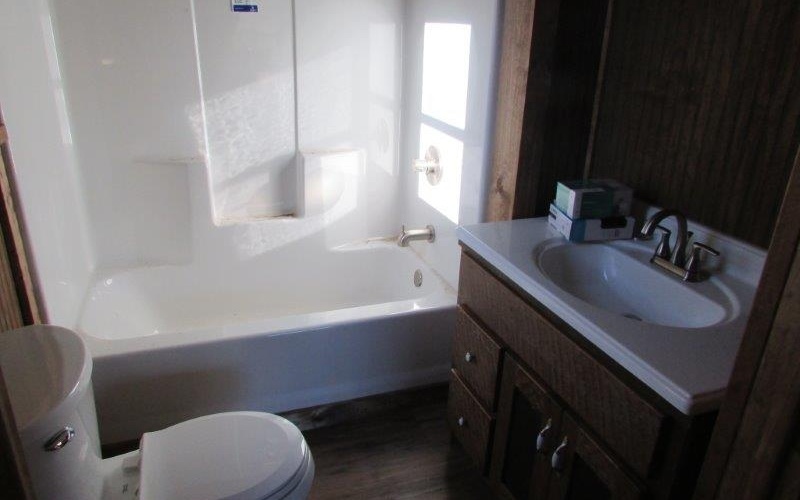 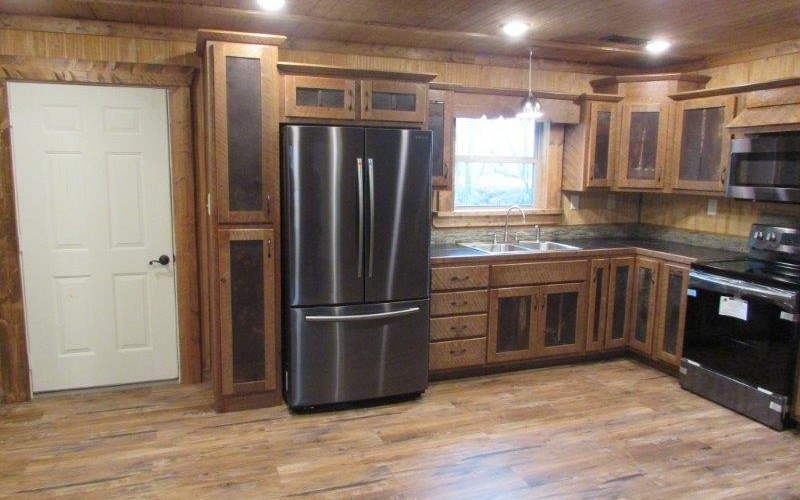 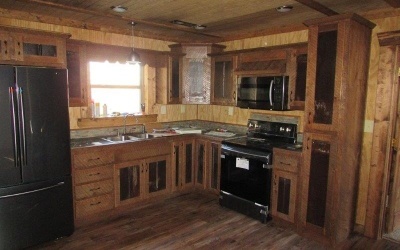 New appliances, gorgeous cabinets, new carpet, and waterproof wood vinyl flooring and rustic trim. 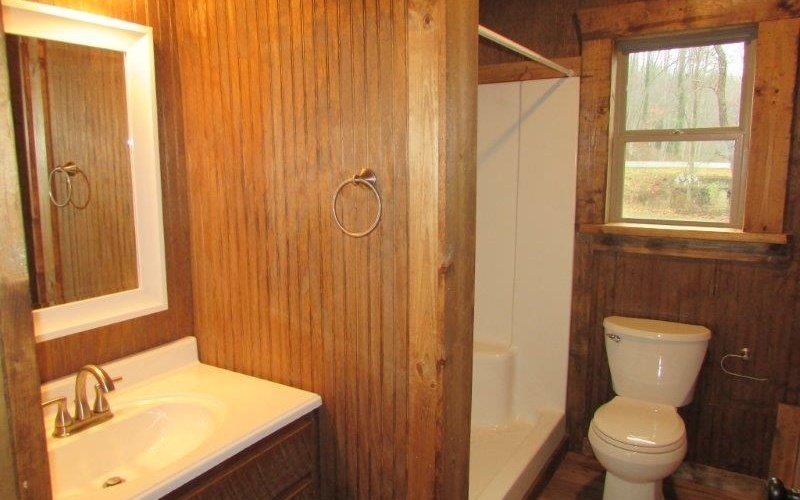 Especially designed for your personal or rental needs.